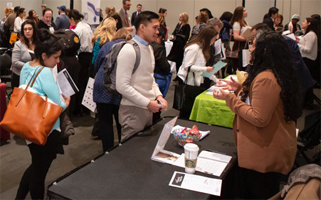 More than 450 students, GIA (Gemological Institute of America) alumni, job seekers and industry professionals connected with 56 companies looking to hire and 23 career coaches offering expert advice at GIA’s New York Jewelry Career Fair . The annual event paved the way for new talent and those looking to enter the gem and jewelry industry with a unique opportunity to network directly with companies. The opening panel, “Job Success in Today’s Market,” featured compelling advice from seasoned professionals and a recent GIA graduate, who shared lessons learned in their careers and their passion and excitement for the industry. 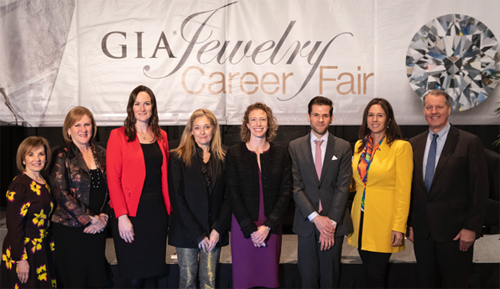 The success of GIA’s Jewelry Career Fair over the past 28 years is due to the generous mentorship of career coaches, the expertise of panelists and participation of recruiters. 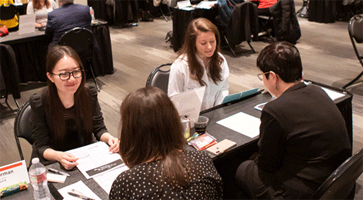 GIA Jewelry Career Fairs will be in London on Friday, April 5 and in Carlsbad, California on Friday, Oct. 11.